1 Stay on property…. ! 6.1 What’s in the Disney Baby Care Center? 9.1 How does the child swap at Disney work? 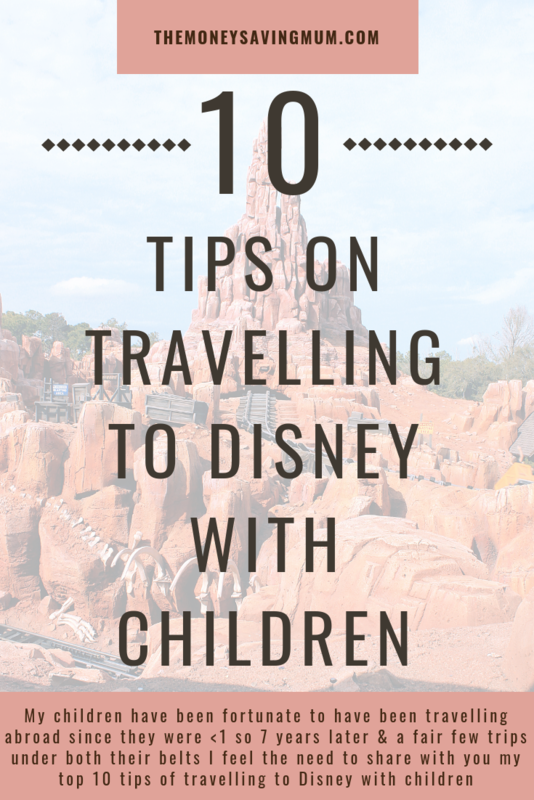 My children have been fortunate to have been travelling abroad since they were under 1 so now 3 and 6 and a fair few trips under both their belts at different ages I feel the need to share with you my top 10 tips of travelling to Disney with children and if you haven’t caught our most recent trip over on YouTube then you can do so here. Our first two trips with kids weren’t actually onsite; our first trip my eldest was a baby and we stayed off site on International Drive second with both children we stayed in a Villa in Clermont. However since staying onsite for just 4 nights for our Disneymoon back in 2015 at Animal Kingdom Lodge and then in 2018 at Old Key West we are now hooked. Things are just sooo much easier being so close to your hotel. 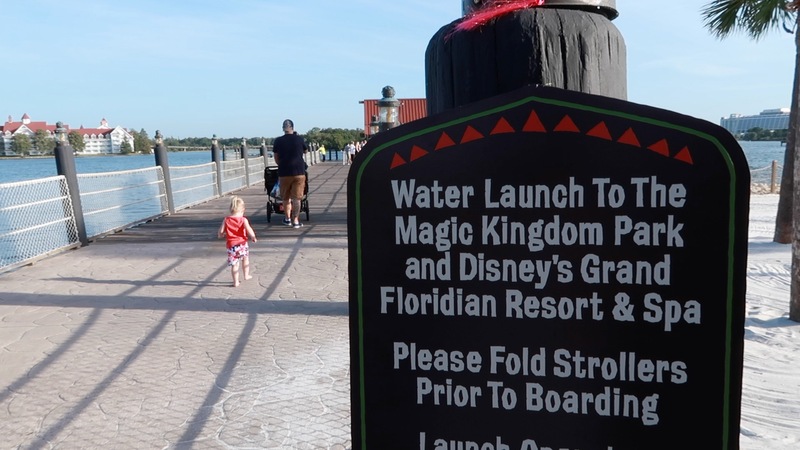 You can just jump on a boat straight to the Magic Kingdom, Epcot or Hollywood Studios (depending on where you are staying) or you can hop on a monorail located just a step outside your hotel door and get dropped off again at the park gates! It makes things so much easier! If you haven’t been to Disney World before it will be very difficult to visualise the layout and size of the place but let me give you a bit of an idea; the whole of Walt Disney World Resort is 47 sq miles … within that there are umpteen hotels, two water parks, four theme parks, two crazy golf courses and Disney Springs .. and that’s just the touristy attractions… in between all that there’s also ESPN sports village, a fire station, cast members HQ and a car hire garage so you can probably now understand better that it is not small! If you plan to hire a car when you arrive then take your own car seats. Not only will it save you money not having to hire ones but also you can be sure your child fits in the seat as it’s the one they use day in day out, you also know where the seat has been and you know how to fit it securely in a car. 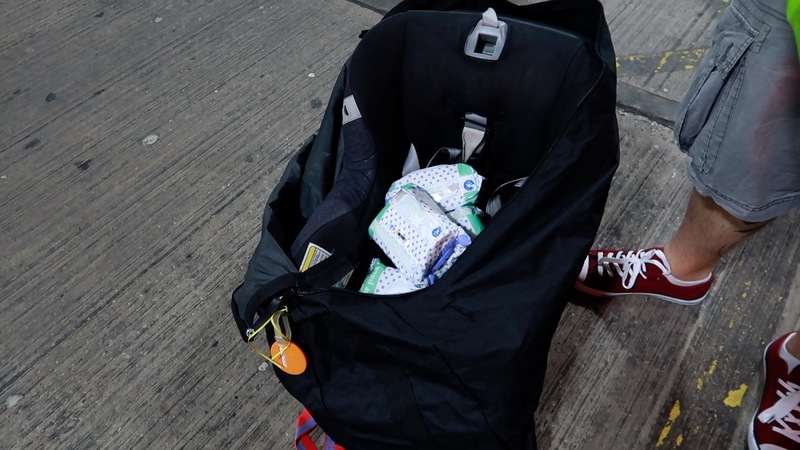 Another bonus of taking car seats is that by packing them in car seat bags allows you to use the spare space in these bags for other things such as baby wipes, towels, nappies – the big bulky things you don’t want taking up precious room in your case! In the build up to your holiday; keep a record of the height of your children to avoid any disappointments when you get there. Although I can’t guarantee there won’t be any meltdowns as you pass a ride they are too small to go on it will help them understand before you go that they aren’t going to be able to ride everything. Let each child have a set amount of money per day. My two on our last trip had $15/day each to spend on what they wanted. When it went it went so envelope it up and take it out in that every day so they know when it’s gone it’s gone. Something else that is worth putting in the car seat bag should you be taking one is a couple of bottles of squash. We wrap them up with near enough a full roll of clingfilm so if there are any leakages it doesnt go all over other things inside the bag. 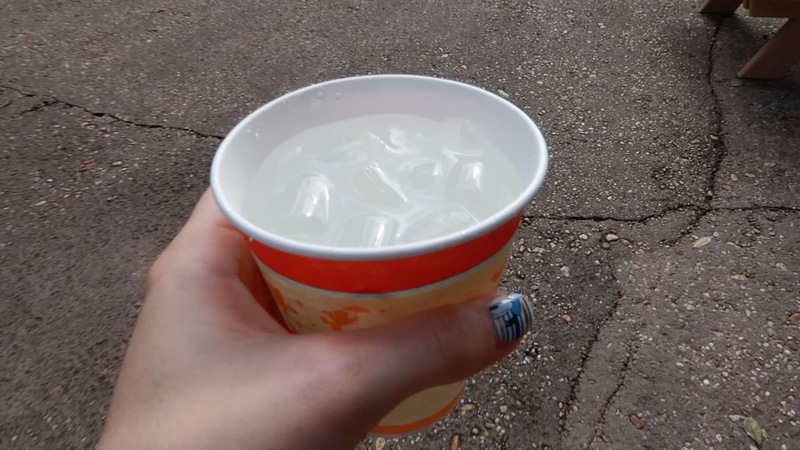 Disney offer free iced water throughout their parks so take an empty bottle, fill it with the squash and add it to your cool and refreshing iced water daily. It not only quenches your thirst but also stops you paying out for drink after drink whilst trying to keep you hydrated through the day. If you have small children or younger ones still in nappies it maybe worth noting where about a the Baby Care centres are throughout each park. 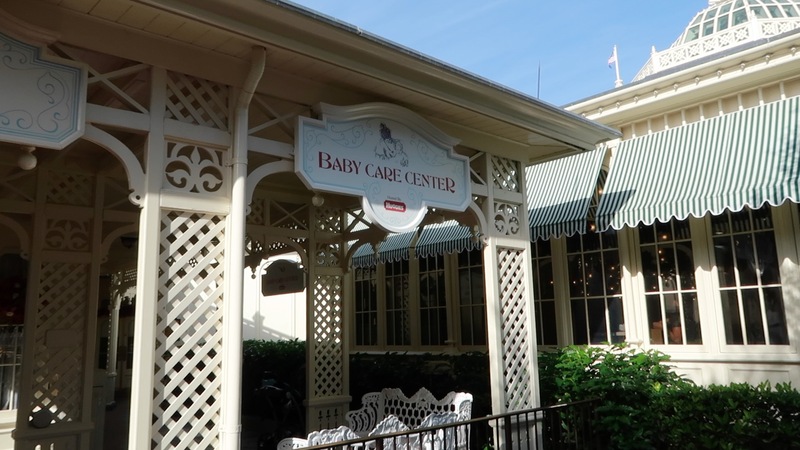 What’s in the Disney Baby Care Center? Within each of them they have a quite, cool area where you can feed, change or nurse your baby in peace and they have everything on offer including a shop to buy anything that you may need (or have forgotten!) whilst caring for your little one. They are only one per park though but don’t feel that is the only place available to change and feed your child – every toilet has a changing area just remember to take your changing mat and a small pack of multi surface clearing wipes. I’ve had no issue with cleanliness in any of the Disney toilets but I do like to ensure that the area is 100% clean whilst particularly changing nappies. FYI too should your little one end up getting lost, the baby care centres are where the cast members will take them until you go to claim the child. We have done many a buffets style meals during our trips to Walt Disney World; mainly breakfasts but lunch and dinner too as we find they are excellent value for money. We find though and much prefer the ‘lazy buffet’ style restaurants over the regular ‘self serve’ buffets with small children in tow. Most buffets are self serve whereby you have a server bringing you drinks however it’s yourself that is required to go up for whatever food you want for your family. With small children in your party that either can’t yet walk, can’t hold a plate or can’t be left at the table on their own in my opinion is not the most ideal dining option to try and manage. It can be quite stressful. I love the fact that Disney do offer alternatives though in as I’ve just described at ‘lazy buffets’ where your server will not only bring you drinks but also your meal; platter style. You can ask them for more of a certain thing, less of a certain thing and not have to leave your table. I list below the ‘lazy buffet’ style restaurants all of which are linked to our YouTube video where we visited and experienced breakfast and dinner ourselves. staying on property at at Walt Disney Hotel will allow you to book your fast passes 60 days ahead of your hotel check in date for the entire length of your stay. staying off property allows you to book your fast passes 30 days ahead of each day you are in the park. You can also book dining reservations through MDE now too! Probably one of the biggest tip I can give you ….is to use the Disney child swap! You don’t necessarily have to have a small child that cannot ride due to height restrictions but if one doesn’t want to ride it doesn’t mean that both parents need to miss out riding with the other. How does the child swap at Disney work? Head on over to the front of the queuing area to the cast member stood in the fast pass area and ask for a child swap. You may all need to be present around whilst you are asking; I know we were asked where the baby was a couple of times once she was pointed out to them they gave us a pass that allowed us to queue just the once as at the end of your ride you pass the paper child swap to the other parent and/or swap children and head back on up the fast pass line straight to the front of the queue. One way of utilising this even better is to book a fast pass for the first riders (1 adult & 1 child), head back to the ride at your given time and ask for a child swap. You will then be able to head down the fast pass line twice(! ), the first time because you have booked a fast pass the second time because you have a child swap! That way also you will end up having a spare fast pass for the other adult to use perhaps on a ride they want to ride on their own! Finally the question I constantly get asked ….. should you take a pushchair!? But only you can make the decision as to whether or not you feel your child is too big now for a pushchair but if you do have the opportunity to take one then take one. Not only for the reason of having somewhere comfy for your child to nap but when they aren’t in it you can pop any bags you have on your back in there too! It will certainly come in handy however make sure you DON’T check in your pushchair with the rest of your luggage and choose to take it to the gate with you. 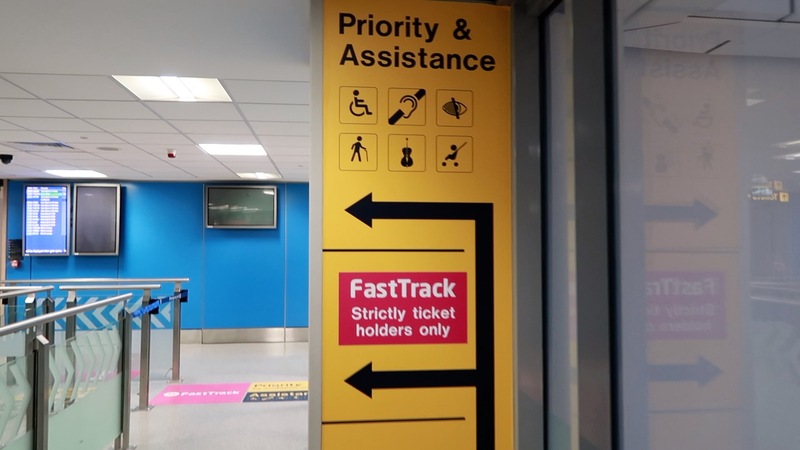 Security will allow you though their assistance aisle; a queue that runs along side the Priority and FastTrack limited-access queue to the security checkpoint for your outbound flight. This will allow you to reach the departure lounge faster and relax with time to spare! 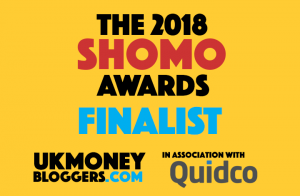 If you haven’t already seen our previous review on our pushchair rental with Kingdom Strollers then have a read here that too will probably help you decide to rent or take your own. 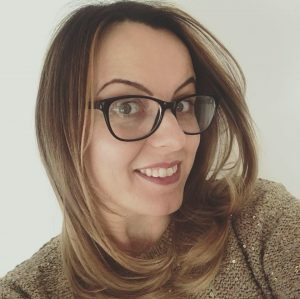 Previous Post #5frugalthings I’ve done this week…. Next Post The self help books that have changed my life!